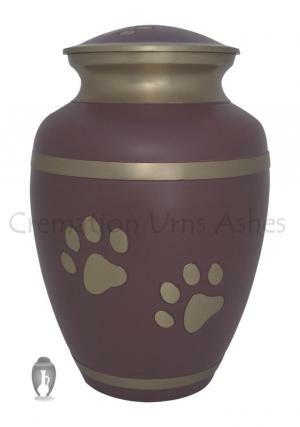 Rochford Paw Prints Pink Cremation Urn is an ashes storage decorative pet memorial brass urn. 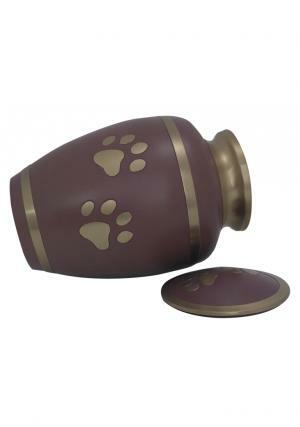 The Paw Prints Pink brass funeral urn is presented in pink enamel and engravings of brass paw prints of pet with classic presence. The pet urn has decorative brass bands circled around the urn. 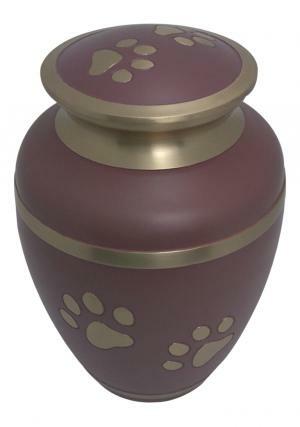 The Brass pet cremation urn has paw prints of brass in pink enamel support on the lid. The lid has screw threading to secure the ashes and easy to use. 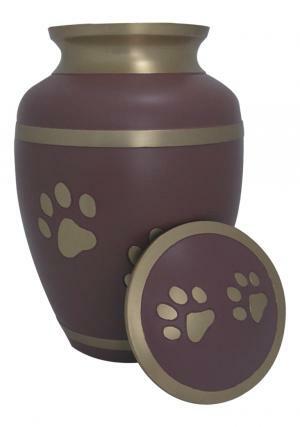 The dimensions of the paw prints pink cremation ashes urn is 8.27 inch height, 5.61 inch width and weighs 1.39 kg.